You can listen directly from the website there, or you can choose from a long list of apps including Spotify, iTunes, Stitcher, Google podcasts, and pretty much every other podcast out there. Do I *have* to count calories? No. There are pros to tracking calories. And there are cons. Your personal context and goals matter. How many calories should I be eating? What should my macros be? For most people a daily protein intake of somewhere between 1.5 – 2.5 g per kg of bodyweight is probably a good starting point. For athletes and lean individuals in a calorie deficit, aiming towards to the top end of that range is advisable. For those or have no focus on muscle mass or those who are eating at maintenance/ calorie surplus that figure can be at the lower end. To maximize muscle hypertrophy or retention, it is advisable to have 3-4 evenly spaced meals with about 0.25 – 0.4 g/kg in each one. Animal sources are better for muscle protein synthetic response due to the amino acid profile and leucine content. What is Energy Balance? What is Fat Balance? Energy balance is the difference between calories coming into the body and calories being expended by the body. Fat balance is the difference in fat being stored in adipocytes (fat cells) versus fat being released and oxidized. On a given day, regardless of whether you are in a calorie surplus/deficit/balance, the processes of storing and releasing fat from fat cells will be continually running in cycles throughout the day. These processes just happen in different proportions at different times, depending on the timing of meals, exercise, fasting, etc. Is slow & steady always the best way to diet? Not necessarily. Sometimes more “aggresive” or rapid fat loss can work well. Some people fear aggresive dieting because they feel it will cause muscle loss or cause more fat to be re-gained in the long-term. However, in many people these things either don’t happen or are largely irrelevant in the long-term. Is Slow & Steady Actually the Best Way to Diet? Short answer: Yes, they can be. But that doesn’t mean they are superior for a given individual. In terms of physiology, if you match calories and protein between two diets, the level of carbohydrate will likely be irrelevant for changes in body fat. For full context, please read this: Just How Effective is Low-Carb Dieting? What are your thoughts on gluten? Short answer: For most people, consuming gluten should pose no health risks. For a small percentage of people it can be; about 1% of the population will have Coeliac disease and another 5-6% will be have non-Coeliac gluten sensitivity (NCGS), based on currently available evidence. Is salt bad for me? How much is ok? Salt isn’t something that should necessarily be feared. For most people, it’s effect on blood pressure is relatively small. And some people may actively need to include more sodium in their diet (e.g. athletes who lose sodium through lots of sweating). All your salt questions will be answered in this post: Should You Be Scared of Eating Salt? Does eating more fat mean I'll burn more fat? Technically, yes. If you eat more dietary fat you will burn more fat. But this does NOT mean you’ll necessarily lose more body fat. Losing body fat will still be predominantly based on being in a caloric deficit. This concept is fully explained here: Eat More Fat, Burn More Fat: Myth, Magic or Metabolic Advantage? Can I hire you as my coach? 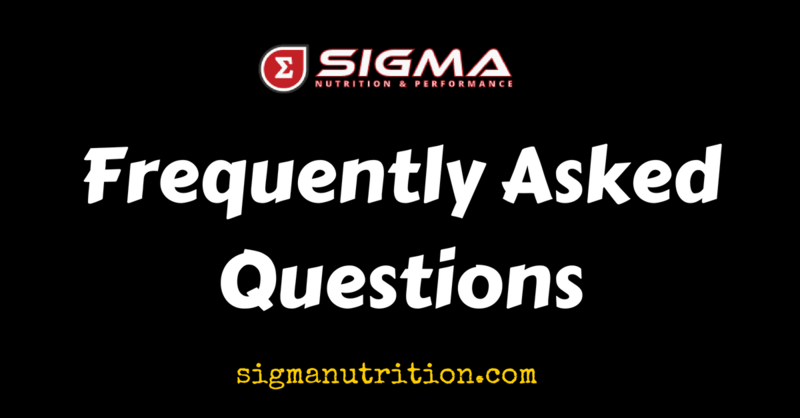 Sigma Nutrition & Performance offer world-class, comprehensive online coaching. Is "sugar addiction" a real thing? Not really, no. We don’t become addicted to sugar (or any other nutrient for that matter). Research shows there may be eating addiction, which is more of a behvioural issue, rather than a dependancy on a compound. High-sugar foods are hyperpalatable and so can drive us to overconsume them. But we are not “addicted” to the sugar in them per se. Is Inflammation a Problem & Should I Use an Anti-Inflammatory Diet? Answered here: SNR #144: Is Inflammation a Problem & Should I Use an Anti-Inflammatory Diet? I can't gain weight ("I'm a hardgainer"). What do I do? Do I Need To Rotate My Protein Sources? Answered here: SNR #136: Do You Need To Rotate Your Protein Sources? What do you think of BCAA supplements? Most the vast majority of people (and athletes), I think they are totally pointless. Explanation and context here: SNR #134: Are BCAA’s Worthless? What are 'low-calorie density' foods? And how can they help me? Can I listen to Danny as a guest on other podcasts? Should I Restrict Caffeine Before Competition To Resensitize To It? I explain in this article: Should You Restrict Caffeine Before Competition To Resensitize To It?